The Committee met with the Rand Water Board and the Sedibeng Water Board. The Minister and Deputy Minister of Water and Sanitation attended the meeting. The Minister indicated that he was in attendance in order to learn more about the water boards and did not give input but asked a few questions for clarity. The Rand Water Board obtained an unqualified audit report in 2016/17. It was the first time that the Auditor-General had audited the books of Rand Water Board. The organisation had also transitioned its accounting framework from IFRS to SA GAAP. Key audit matters raised by the Attorney-General (AG) related to non-compliance to trigger regulations and the need for an annual plan. The Auditor-General found that when it came to ministerial directives, the measurement of performance was not relatable or measurable in the performance plan. The Board explained that in the past four years, directives had escalated phenomenally and that frequently directives were issued by officials and not the Minister and were sent via a WhatsApp message. Fruitless and wasteful expenditure, and irregular expenditure, had been picked up internally and details were submitted to the Committee. The R1.9 million fruitless and wasteful expenditure was largely a result of a lack of capacity and staff had been employed to assist with financial matters. Irregular expenditure related to the award to a contractor as a result of a confusion about awarding tenders to up-and-coming contractors. Further irregular expenditure was about training for which a deviation had been incorrectly applied. The Annual Report indicated that the Board was looking forward to a growth of supply of up to 1600 megalitres per day by 2030. A key problem for Rand Water was that municipalities were losing about 40% of water to leakage, despite not being able to pay their water bills. It was noted that if the leaks were stopped, the municipalities could afford to pay for the actual water that they used. R1.2 billion was owed to the Department of Water and Sanitation as a result of unpaid municipal services. If the Board could not manage the rising debt, it would have serious implications both for municipalities and for the Board to upgrade infrastructure and service its debt. The Acting Director-General of the Department of Water and Sanitation informed the Committee that the issue of ownership of assets was at a stage where the Department of Water and Sanitation was classifying water according to institutions. Infrastructure of regional significance would be the responsibility of Rand Water Board according to the new legislation. Municipalities would be dealing with local infrastructure. Because the legislation was not yet finalised, the Department of Water and Sanitation was relying on negotiations with municipalities to deal with the matter. The Committee expressed concern with the dilemma of municipalities not paying water boards and the amount of water that was wasted each day. One Member noted that the North West region had not been mentioned. Was Rand Water thinking of expanding water into that region and if so, what progress had been made? A Member asked if there were any water and sanitation projects underway as there was huge open sewage draining in squatter camps, resulting in people living in totally unacceptable conditions. Another Committee Member asked if there were any plans by the Board to generate its own energy in terms of using the same resources and easing the cost of tariffs. It was noted that the Board had spent R1.2 billion on a project, which did not appear in the Annual Performance Program. Where had R1.2 billion of public money had been spent and on what was it spent? The Chairperson requested that the Committee be informed about each and every stakeholder as each and every supplier and contractor needed to come before Parliament and give an account of where the money was being spent. Before the Sedibeng Water Board began its briefing, the Committee attempted to find out in terms of what legislation the Board had been appointed. The Acting DG was unable to provide the information and the Chairperson of the Board indicated that 60% of the previous Board had been re-appointed by the Minister in terms of Section 35(2) of the Water and Services Act. Members of the Committee pointed out that the legislation made no provisions for re-appointment of a water board. It also emerged that the Chief Executive at Sedibeng Water Board had been suspended, along with the Company Secretary, for involvement in 12 acts of corruption. However, the Chief Executive was challenging the legitimacy of the Board in court. Sedibeng had been audited by PWC until the Auditor-General took over. Sedibeng had received an unqualified audit opinion in 2015/16 but a qualified audit opinion in 2016/17 from the Auditor-General. Findings were in relation to definitions and measurement. The entity was in discussion with the Auditor General in terms of correcting misunderstandings and mis-arrangements, in understatement of irregular expenditure and on issues relating to the debtors and creditors. Four internal projects had been internally advertised and not advertised elsewhere. That became irregular expenditure. The entity was looking at going back to the drawing board with National Treasury. Expenditure problems originated in the late payments of supplier accounts. Expenditure amounting to R140 000 was investigated and also presented to the Accounting Authority. The remaining R562 200 was too be investigated after the year end and would be dealt with in the current financial year by 31 March 2018. A total of R3.3 billion was owed to Sedibeng Water by all municipalities. A total of R88 million was owed by the Namakwa region They were meeting on the 13 March 2018 to discuss the water restrictions and payments. Sedibeng’s financial performance had seen increased revenue with an increase in debt. The gross profit target was exceeded as a result of cheaper water purchases from the Sand Canal and in the Free State region. The net profit percentage exceeding its target by 6.9%. The Board’s return on its assets target was exceeded by 0.15%. Sedibeng entered into payment agreements with defaulting municipalities and had commenced with a program to restrict non-payments. The process was slow. The Director-General of the DWS was assisting with interventions to recover debt. The R1.2 billion owed to the Department was due to unpaid services from municipalities. Expenditure outcomes highlighted electricity costs. A Committee Member asked about the policy on restraint of trade, especially for Chief Executives. He wanted to understand what was meant when the Board said its expenditure was “in line” with the budget but it had over-spent by over 2%. Parliament wanted to know who the responsible authority was when talking about water or sewers as role players were playing the blame game while service delivery suffered. The Chairperson did not afford Sedibeng Water Board to respond to questions owing to the lateness of the hour. A follow-up meeting would be arranged. The Chairperson greeted Members of Parliament, board members and those from outside Parliament who were attending the meeting. Two water boards were to submit their annual reports for 2016/17. The Committee had requested the attendance of the full Boards. 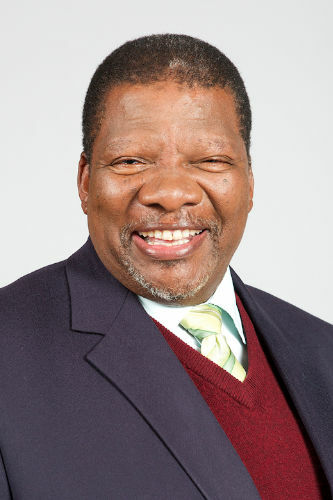 The new Minister of Water and Sanitation, Minister Gugile Nkwinti, had been welcomed in the meeting that had taken place the day before, so there was no need to have another welcoming. The Auditor-General was present and would provide insight into the performance of the water boards. Apologies were given for a confusion of time of the meeting. However, the time had been communicated the day before in the meeting and a WhatsApp group existed for the Committee Members for announcements or notices. The water boards were both from Gauteng. The Chairperson asked the Minister to introduce the discussion. Minister Nkwinti greeted everyone. He noted that he still had to meet the members of all the water boards and thanked the Chairperson for a successful session the day before. He had learnt a lot and hoped to learn more that day. Deputy Minister Pamela Tshwete said it was very important for the Water Board members to introduce themselves to Parliament. It was important to learn what the boards were doing. 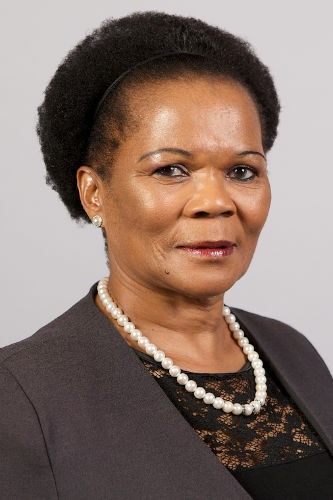 She also apologised for the absence of the DG of the Department of Water and Sanitation (DWS) who had an urgent meeting with the National Education and Health Allied Workers Union (NEHAWU). Members of the water boards introduced themselves. Ms Tshidi Hashatse, Chairperson of Rand Water Board, said that the term of current Board was coming to an end on 30 March 2018 and that the term of the Chief Executive was coming to an end in August 2018. Rand Water Board was about supply in the sense that it bought water from the Department of Water and Sanitation, purified the water and supplied to the customers. It supplied 18 municipalities, around 49 mines and roughly 959 industrial customers. Rand Water Board supplied between 3 000 and 5 000 mega litres of water to Gauteng, Mpumalanga, and parts of the North West and Free State. The proposed growth in terms of supply would increase by around 1600 megalitres by the year 2030. The issue of climate change needed to be addressed and effective water management would be essential. A national program would be an important part of such a strategy. There were also water restrictions in place. The issue that would keep the Minister awake at night was the issue of rising municipal debt. Municipalities lost about 40% of water through wastage. If municipalities could plug the holes, they would be able to afford the actual water that they used, and they could service their debt. That was a serious matter and needed intensive stakeholder engagement to engage leadership and municipalities in order to create awareness of water wastage and sustainability. If the Board could not manage the rising debt, it would have serious implications both for municipalities and for the Board to upgrade infrastructure and service its debt. The 2015-2030 plan included intensive infrastructure plans which meant that municipalities had to raise funds to deal with the cost of water. Rand Water had two Ministerial directive projects. One project involved 10 000 youth in training as water agents and to assist raising awareness. A second project was designed to provide bulk sanitation infrastructure and accommodate new housing developments for Gauteng. It was born out of problems experienced with sanitation and old infrastructure. Old infrastructure had caused spillages into the Vaal River. Municipal debt was on the rise. Expenditure had not been included in the presentation, and documents were to be circulated to supplement the presentation. The Board had an unqualified audit opinion. Key audit matters that the Attorney-General (AG) had raised related to non-compliance to trigger regulations and the need for an annual plan. The organisation had moved from an IFRS accounting framework to SA GAAP. In terms of ministerial directives reporting on on-going work, the Auditor-General had found that the measurement of performance was not relatable or measurable in the performance plan. The plan was to measure new ministerial directives. However, the work was on-going although the information did not tie up. Mr Percy Sechemane, Chief Executive of Rand Water Board, showed how the vision, mission and key statistics of Rand Water aligned to national government objectives. There had been a drastic reduction on secondary activities that related to ministerial directives. In October 2016, Rand Water had changed auditors and the Auditor General of South Africa had taken over auditing of the entity’s books. There were ongoing talks about different classes of skills needed within the sector that had to be created to make sure that the right skills would be available. The Rand Water Foundation had to oversee an alignment to water and water related projects like sanitation and infrastructure in terms of how to assist businesses in the areas in which it operated. It had been able to maintain income budgets. Rand Water had changed its capital expenditure program and the expected revenue was lower as a result of selling less water. Secondary activities saw a drastic reduction because of the challenges with directives. The operational performance of Rand Water was strong. Capital expenditure saw the majority of funds being spent on pipelines (52%). The debt profile in terms of borrowing money for projects showed a debt maturity of 33% from 10 to 13 years. That tied in with the expectation of increasing supply by 1600 mega litres by 2025. Lastly, in terms of the five-year plan from 2018 to 2022, the infrastructure plan saw most of the money being spent on pipelines (58%). Funding infrastructure was critical so how it was to be done needed careful consideration. There was a need to ensure that money was put aside in order to pay for and deal with maturing debt which meant creating a special fund for reserving the funds to repay debt. Different scenarios accompanied the issue of the tariff. A portion came from the Department of Water and Sanitation (DWS), which went hand-in-hand with the cost of water, energy, matters of chemicals and so on. Tariffs for municipalities still had to be worked out. Negotiations with Eskom were still underway. Emfuleni was not honouring payment arrangements or agreements with Rand Water Board, and owed R470 million. Rand Water would engage with municipalities in terms of understanding how much they could afford so that debt was secured, and pressures were eliminated. The impact of climate change was rising and required continued sustainability. The Chairperson asked about the money owed to the Department. Ms Hashatse responded that R177 million was owed. The Chairperson acknowledged the work regarding the process of reducing early directives. Department had provided updates in terms of the extent of promotion of industries. The statistics given related to chemical producers, gulfs and pumps. He acknowledged the progress with regards to aligning interests with the Department in terms of the structures they had. The Committee was still awaiting the plan with regards to National Treasury. What was the plan and what did it entail? The Chairperson also wanted to hear about the issue of debt collecting. Mr L Basson (DA) said that there was a big dilemma with municipalities not paying water boards. The major projects within the next five years, like the 600 mega litres per day at Station Five saw a cost of R3.7 billion. The system was losing 1 700 mega litres per day and that would end up costing in the region of R8 billion to repair it. Municipalities were using up capacity that they could not pay for and were also not using. Water negligees needed to be fixed. Municipalities did not have funds. The systems needed to be fixed in order to make funds available. The water boards needed to assist the municipalities in terms of saving water, managing their capacity, and with infrastructure upgrading. That would lead to a win-win situation to the extent that 1700 mega litres were not lost each day. Perhaps there was a need to look at a joint venture between Rand Water and Cogta. He asked who was responsible for supplying the water. He noted that the North West region had not been mentioned. Was Rand Water thinking of expanding water into that region and if so, what the progress had been made? Mr D Mnguni (ANC) asked if there were any plans to generate own energy in terms of using the same resources and easing the issue of tariffs. He agreed with Mr Basson’s position on water loss. The municipalities lacked the capacity to deal with water losses. What plans did Rand Water have to assist? Those plans needed to follow a national plan as it affected everyone when water was lost. He noted that it was better to rely on the financial statements rather than on presentations as he noted a decrease when looking at the financial statements. Legal contingencies and asset contingencies had seen an increase. He asked about the issue of acknowledgement with regards to debt and how Rand Water would handle that matter. What about the issue of ownership, especially in Mpumalanga? Rand Water had to know who owned what for proper maintenance of infrastructure. He also asked about the issue of equity and whether or not the Board was addressing it. Mr H Chauke (ANC) said that the Committee wanted to be assured that measures had been put in place so that the new system could kick in. In respect of projects that had not been completed due to a lack of budget, he wanted to know how the planning had been done and how the Board had entered the project. He required a detailed discussion about the projects. The Board had spent R1.2 billion on a project, which did not appear in the Annual Performance Program. What types of engagement was the Board involved in? Rand Water Board had to respond to questions regarding R1.2 billion of public money that had been spent. Where and what it was spent on? He wanted a full report on the R1.2 billion and how each and every cent had been spent. The Chairperson requested that the Committee be informed about each and every stakeholder. Each and every supplier and contractor needed to come before Parliament and give an account of where the money was being spent. The intention was to assist the Board so that nothing prevented the achievement of what needed to be achieved. Given the challenges that the Department had in terms of funding, he asked if there were any new projects that the Board was committed to, especially as the term of office were coming to an end for the Board. Mr Chauke asked about Rand Water’s role and involvement with other Boards. Did they assist each other? What was Rand Water’s relationship with Sedibeng Water Board and what were the arrangements with regards to the question of expansion? For example, how had the issue with Mpumalanga happened, and who dealt with expansion in that area of work? He needed a clear understanding of who determined the area of work for expansion in order to move forward. Deputy Minister Tshwete acknowledged the questions about non-payments that had been directed to the Department. She commented on the question asked by Mr Galo regarding the squatter camp and stated that it was the responsibility of the municipality that needed to have the capacity to do the work. She agreed that a joint venture with Cogta, especially now that there was a new Minister, might be a good idea. They needed to arrange a meeting with the new Minister in order to check whether Rand Water could assist in municipalities where there was no capacity. The DDG responsible for the War on Leaks would provide a report for the Committee. A meeting has been arranged on Thursday with the Minister and the CEO and Chairperson with regards to what the Board was doing and about how it was dealing with issues and concerns. She instructed the Board and the Department to answer the relevant questions. She handed over to the Minister. Minister Nkwinti referred to page 44 of the new documents that had been handed out. He did not have an understanding of the matter of ministerial directives. He read from the document: “The requirement for acceptance was not part of the approved indicator,” and asked what it meant. He needed guidance about ministerial directives and the progress against the implementation plan under key audit matters. He asked about the phase that followed as it appeared even more confusing. He assumed that the Board had a full understanding of the issues and needed to explain. Deputy Minister Tshwete handed the discussion over to Rand Water Board. Mr Galo commented on the confusing nature about the Board’s position in terms of household sanitation. The Board should have differently captured it. The presentation talked about household water and sanitation projects, but he had thought that household projects and water and sanitation projects were not the responsibility of Rand Water and that it should not have been captured in that way. The Chairperson thanked Mr Galo for his contribution. He believed Water Board, or the Department could provide a response. Ms Thoko Sigwaza, Acting Director General, DWS, said that the Rand Water Board had done very well and needed to be applauded as it had set the bar. In respect of replacing Rand Water Board members, processes had begun in February 2018. The process had called for nominations, and it was at a stage where the Minister needed to apply himself to appointing a selection panel. The panel would draw up a short list which would go to the Minister and then to Cabinet. In terms of timelines, the Department would not be ready by the end of March. The DG would discuss the matter with the Minister, but DWS had proposed and extension of Board Members for a few months. In terms of the Chief Executive, the Board had made recommendations to the former Minster who had looked at the proposal and the appointment was on the point of going to Cabinet. The supply of raw water was the mandate of DWS and the Minister was custodian of the water resources in the country. The Minister determined which institutions could help in respect of the tasks related to raw water. The DDG of National Infrastructure was assisting. Various institutions were aiding infrastructure. The issue of ownership of assets was at a stage where DWS was classifying water according to institutions. Infrastructure of regional significance would be the responsibility of Rand Water Board according to the new legislation. Municipalities were going to be dealing with local infrastructure. In respect of Mpumalanga, DWS had transferred the infrastructure but it was for regional infrastructure and therefore the responsibility of the Rand Water Board according to the new legislation. Because the legislation was not yet finalised, DWS relied on negotiations with municipalities to deal with the matter. DWS had looked at secondment but because of the skills and experience that the Rand Water Board had, DWS had used staff from Rand Water to assist in the past, for example, in diagnosing the problems in Amathole. So, the staff of Rand Water was used to assisting elsewhere. Mr Chauke wanted to know what the law stated about the term of office of the Board and what should be done if they were not ready to appoint new Board members. He wanted to know what the law said and not what DWS had proposed. The Committee needed to know what the law said, including what it said about service delivery. The Acting DG was not giving information. Ms Sigwaza stated that the Water Services Act gave the Minister the right to appoint Board members. But since then, there had been a requirement from Cabinet that, although the Minister was solely responsible for appointing the Board members, the Minister needed to table the nominations at Cabinet. The requirement for Cabinet to be involved was not in the Act but it was good practice. In good time the Board had been noted. She had called for nominations nationally and regionally. The Minister had to apply his mind and, especially, ensure that there was local representation. DWS would inform the Board and the CEO that the process was starting with the appointment of the Board. The vacancies would be advertised at the national and local level. She had called for nominations. She stated that the Minister needed to take care of the presentation for local government. The members of the selection panel would make nominations. The selection of the panel required a Minister’s representative, who was usually the chairperson of the selection panel, the CEO and a person of good standing at local level in the area of operations, and who was nominated by the Chairperson of the Board. There was also a regional representative. The Chairperson asked if all members of the Rand Water Board had gone through that process. Ms Sigwaza stated that the process was not repeated if someone resigned. The selection panel looked at the reserve list and nominated a person to replace the member that had resigned. Critical skills were looked at in the process. Ms Zandile Mathe, Deputy Director General for Strategy and Oversight at DWS, said that transferring assets of a strategic nature had been a key proposal. Financial challenges required a revised look into the proposal. DWS did not have the funds, as it was an expensive exercise. It had been proposed that assets of a strategic nature be transferred but DWS had realised that it also had to look at the operability of the assets. By the end of the following year, DWS should have finished with the asset allocation. However, DWS did not have the funds to undertake the process. Rand Water Board relied on its assets. It required the involvement of the Strategic Framework for Institutional Reform and Realignment working together in order to make sure the process was accelerated. There were four processes that had to run together, including the establishment of the agency and the regulator and the legislation. Regarding the debt owed by the Department to the Water Board, much of it was due to directives given to Water Boards by officials other than the Minister. A discussion with the CEO had led to an agreement for a meeting to thrash out all the financial matters. During the drought, everybody had issued directives, not only the Minister. So, she had to see who had issued the directives and regularise the process. However, regardless of that process, she was going to make sure that everyone was paid. She had urged that payments from the old budget needed to be paid by the end of that week. The Chairperson asked Ms Mathe to provide examples of who had issued directives. Ms Mathe responded that WhatsApp’s were sent when it was necessary to intervene. The former DG had also issued directives. She would work with the CFO of the Rand Water Board. If work had been done, DWS would pay. But she needed to regularise the directives and ensure that the proper process was taken for DWS to able to pay. If that did not happen, it would be an issue in the audit. Mr Chauke responded to the issue of regulating payments by saying it was wrong and it was wrong to send an sms for people to do work. Besides which, it was only the Minister who could give directives. It could not be done because it was public money and it was irregular. There had to be an investigation, whether the money was paid or not. One could not regularise after the fact. The use of public money required a degree of responsibility. The issues needed to be attended to and investigated to the extent that someone took responsibility. He said that money had clearly been spent there. He asked the Board to share the information with regards to those responsible in terms of the R177 million owed. There was an issue of directives and the problem was thus with directives. Those responsible for the directives had to account. The country was not a banana republic. He asked for all the directives be submitted to the Committee. It was important to understand what had to be regulated and what had to be paid. The Chairperson asked the Minister for copies of all directives issued by anyone other than the Minister be sent to the Committee by Tuesday the following week. He also asked for a copy of the regulation that spoke to directives. Ms Hashatse explained that the key audit matters on pg. 44 of the documents handed out. The Auditor General had found unacceptable issues from the Department’s side. Rand Water did not report on that project and it indicated it had not accepted the directive, which was the reason why that information was excluded from the report. In terms of the auditing performance, the corporate plan acknowledged the issue of directives, which was not something that was a normal addition as directives had only become intensive in the past four years. The Board had decided that the work was not part of the work required by the CE. The auditor was not satisfied with why it did not appear on the report. However, the directive did not have certain components of information that were needed by the Board. The Minister had asked why the Board had not included the work and the Chairperson explained that the previous Minister had written a letter, but before proceeding, the Board had required a breakdown of the information in order to have something that made sense. Only then could something be done about an issue that was not on the Board’s plan. Mr Chauke stated that someone in the Department needed to explain those terms. Someone must have given the Auditor-General information about the directives and funding. The Committee should seek an explanation from the Department, otherwise it would invite the Auditor-General to speak about the finding in the audit. Ms Hashatse replied that she could not speak to matters of the Department. She could only speak about the letter received from the Minister and she did not know how it was escalated. Ms R Pillay, Senior Manager, AGSA, spoke on the finding of the audit. The finding arose from when the Office was auditing the Annual Performance Plan (APP) in order to evaluate the performance of the entity. She identified that the expectation was that the entity should report on directives. The entity had failed to do so. The responsibility of the Office of the Auditor General was just to report. She acknowledged that the Chairperson had explained that the directive had not been accepted. The Auditor-General’s Office had measured performance against the plan and found that it had to raise the finding. The Chairperson responded that it had been a concern of the Auditor General’s office for some time. Directives issued by the Minister had literally become a blank check. Implementing agents did as they wished. Money would have come from the Department regardless. Most of the implementing directives were in the form of an emergency. When there was an emergency, the entity did as it wished. There was a panel, but panel members were chosen based on whichever friends were wanted. That typically bordered on corruption. He acknowledged that the Committee had a keen interest in it to the point where the Committee needed to find a way of curbing it, due to the problems it created and the problems that the AG had picked up. Ms Hashatse said that the Board had not understood as the instructions were not detailed enough. The Board was acting in the interest of good governance and needed to understand their role and the scope of work before they could proceed. One Member reminded the Committee that the AG had indicated that they were looking at the APP of the Department and asked the Ms Pillay from the Auditor General’s Office to repeat herself. The Chairperson acknowledged the request. Ms Pillay responded that the auditing was of the Rand Water Board and its performance was reported. It looked at the annual performance plan in order to understand what the indicators were and in order to measure the performance of the entity against the annual performance reported and its consistency thereof. The performance indicator said that new ministerial directives would be issued during the year and that they would be reported on. The Chairperson responded and said it was understandable because the entity could not include directives in its APP as it would not know what directives it would receive. He reminded everyone of a lunch break commencing at 12:30. Ms Hashatse explained that the indicator referring to the implementation of new ministerial directives was about the definition of an indicator. When measuring performance indicators, they had to be specific, measurable and reliable. That indicator was not smart or well defined. She said what was reported was thus not applicable. The information on the project was reported, and it was about the definition alone and not about the work that the Auditor General had raised the finding. Mr Chauke suggested that the Committee did not need the details but just snaps at that stage. All of the exercises needed to be looked at so that everyone was aware of the status and of what was happening. Ms Hashatse responded that the war on leaks was a project of the Department. She said it had a tripartite contract with the Department and that the roles and responsibilities were defined within the contract. Rand Water was responsible for the placement of students (roughly 10000) and providing stipends for them. Phase three would not be implemented by Rand Water but rather by another board. A letter had been written to the Minister in response to the “withdrawal directive” stating that Phase three was being handed over and that a team needed to be set up to ensure a proper hand-over as it was an international project. Representation was required on the project team and contractual obligations had to be dealt with. The Rand Water Academy had been involved. Some people were only employed on a particular project. The Board that was taking over could use the Rand Water Academy and build on things developed by the Rand Water Board. A payment system needed to be set up and infrastructure was required to handle the project. Whoever was to take over Phase three should not need to start from scratch as the Rand Water Board could give the entity knowledge that would ensure a smooth and effective ride ahead. She reminded everyone that Phase one and two was still in process and only Phase three would be handed over. A Member asked why when one water board was doing a job, it had to be handed to another water board for phase three. Did it require capacity? Was there a capacity? Mr Chauke said that the danger of that was that it might explode. He said people were employed and they were getting a stipend and if they went to the other place and it was not ready, they would revolt. So, the matter was very urgent and should be treated as an emergency. Ms Tshwete said that the service providers, because they had been given a contract, had phoned and said they were going to court. Ms Hashatse responded to Mr Basson saying that there had to be a careful balance in terms of planning. An on-going engagement with municipalities and DWS about infrastructure and planning was underway. In terms of the issue of North West, the Board was not the initiator in that regard. The area of the operation of the Water Board had been set and demarcated by the Minister and board water could not just simply decide where to go. Ms Hashatse acknowledged the issue raised by Mr Galo and responded that it could not be said for sure that someone else was doing something. She referred to the presentation slide showing work that had been done and said that the information would look disconnected if the background and work done by Rand Water Foundation was not included. The Rand Water Foundation was a corporate responsibility arm. The Foundation worked with schools, municipalities and even with provincial governments. They did greening projects and offered guidance etc. She could send information on the Foundation. In terms of the issue of energy, she said that the Board was in agreement that it was expensive and that they had therefore conceived the idea of a hydro power project. However, the Board first had to deal with the main points of business, and nothing should not interfere with that, and the Board needed to apply to the Minister and to Treasury before undertaking a major project. The Board had submitted a hydro-power project to address the energy problem, and they had received acknowledgment from Treasury but were still waiting for confirmation. She said the Board was restricted with regards to the things that it could fix and that it could not be responsible for fixing infrastructure that did not belong to the Board. She said Rand Water had an initiative where they asked municipalities to contribute an additional one percent in order to deal with infrastructure problems, but they could not proceed as most of the municipalities did not want to contribute towards the funds. Mr Sechemane said that National Treasury had said it was about getting people to the right grading system. Entities were given conflicting instructions from different departments. It was important to ensure that Parliament and government was saying the same thing. He mentioned various programs. He noted that the bigger problem of water loss needed to be addressed and that they had gone to the extent of producing a report for the municipalities and they were prepared to assist. The Board was quite concerned about what happened to the funding of municipalities as they never had money. The Board received requests to go and help and they did not have a problem with that, but there was a bigger problem in the municipalities. The cost of electricity was very high and so the Board had suggested core generation. They knew National Treasury appeared quite comfortable with it, but the Board needed to get approval from the relevant role players in order to get going and to reduce the real costs of water. He noted that the Board always responded to directives to offer help and it was not a problem, but the directives came from the Minister or the Acting DG. The Board did not have resources lying around but Rand Water was always willing to help. He did not understand why Rand Water had been asked to help Sedibeng and hoped to get an answer to that concern. Mr Chauke said that they could not refer the Committee to the Department or to Sedibeng. There had to be a contractual arrangement in place for Rand Water to assist. He had asked a question in respect of page 90 and said that he wanted to understand the planning and budget behind that project. The project should have been completed in 2017. Had the project been completed and handed over? Ms Hashatse responded by saying the COO could respond but if there were implementing agency arrangements and the budget was not enough, that would have been a problem. The Board did not do the planning and budgeting. The COO of the Rand Water Board said that it was a matter of budget implementations. The Department or the municipality would indicate that it had a challenge and the Board should intervene. For example, water might be reticulated to a number of areas, but the project was complete when the available budget had been fully utilised, regardless of the number of areas that needed reticulation. Mr Chauke referred to the project completed in September 2017. He asked if it had been completed and whether the goals had been met or if it had just died. The COO explained that the project was dependent on the budget. Often the project was vague and interventionist, so Rand Water would work out how much the Board could do with the budget. It was then completed according to what could be done with the budget, but it would not meet the original goals of the municipalities prior to consideration of what could be done with the available budget. Ms Hashatse noted that the Board felt under pressure to give answers because of the time. The Chairperson spoke about re-alignment and what the Board and shareholder wanted to do. He asked about the impact on staff. He adjourned the meeting for a short lunch-break. The Chairperson greeted Members of Parliament, board members and people from outside Parliament again. He urged the meeting to move with speed. Rand Water was to be discussed if there were any remaining issues in the equation. He asked to be taken through the Annual Report issues of Sedibeng Water Board. Ms Thoko Sigwaza, Acting Director General, DWS, asked the Chairperson to take the Committee through the report but first gave a background to Sedibeng. It was unique in that it had been established a long time ago. Sedibeng had extended its service area to 10 0000 sq. km across three provinces: the Free State, North West and the Northern Cape. It incorporated a Water Board that had belonged to a mining company. She referred to the alignment between Sedibeng and Magalies Water Board. DWS wanted water boards to be financially viable. Water boards operating in rural areas were established boards and needed business, as well as customers, otherwise they would struggle as Treasury did not support them. Water was a volume-based business and Sedibeng required income that would generate financial stability. DWS ensured that there was cross-subsidisation between rural and urban areas as a mine or an urban are acted as an anchor. National Treasury was not bailing out the Water Board and the Board needed financial standing and liquidity in order to borrow. In terms of that thinking, the issue of the realigning of Water Boards was critical. Most of Sedibeng was rural and one municipality owed about R2 billion and therefore the Board owed DWS. Sedibeng had been strong in secondary activities and in providing service delivery. The Chairperson would deal with governance issues and with the effectiveness of the board. Mr Chauke apologised to the Chairperson for the interruption. He asked about the status of the Board in particular. He asked the DDG to answer the question posed by the Chairperson. Mr Basson added that the Committee needed to be informed about the status of officials in the Department. The Chairperson replied that they would get the appropriate information from the Chairperson of the Board itself. He added that they wanted to know more about governance issues. Ms Sigwaza replied that it was the same Board as it had been re-appointed the previous year. It was almost at the end of its first year and still had three more years to go. Vacancies still needed to be filled. There are currently only six members. In normal practice a board had between nine and 12 members. DWS would be advertising for the vacancies as there were more than three vacancies. The Chairperson said that it was critical to follow the process and nothing should be assumed. When the Committee had asked about the status, the response should have taken Members through the same process articulated earlier. It could not be assumed that the persons had gone through the same processes. The Committee was asking for the status of Sedibeng alone, and not of any other board. It was necessary to hear about the process taken. He asked about the selection process and the Cabinet approval. It was a straight forward request. Ms Sigwaza replied that she understood that she was expected to say more about the Board. She stated that it was a six-member Board and that according to their records it was functioning effectively. Mr Chauke said that the acting DDG was leading the team. He wanted to know in terms of the law what was required. He wanted to know what was happening and where it had started. He asked the Acting DG to speak on the matter in response to the question asked by the Chairperson. What did the law say? The Acting DG had to take them through the processes. Ms Sigwaza replied that in terms of the law, the board was supposed to serve a four-year term. When the term expired, they could be reappointed, or the Minister could decide to go through a full-blown process of re-advertising. If there was no reappointment, then DWS had to go through a process of calling for nominations. 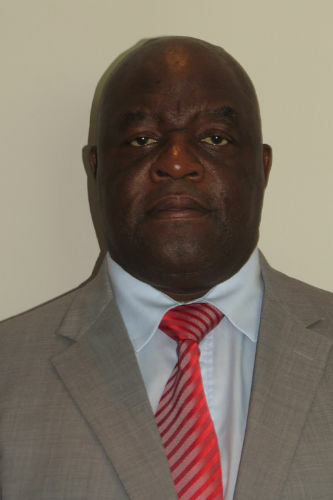 When the Sedibeng Board’s term had expired, the Minister had reappointed 60% of its members. She said that in terms of the law, the reappointment was allowed. Members were allowed to serve four executive terms, and after serving four terms, they were not eligible to serve again. The Board members had each served fewer than four terms. In respect of the composition of the Board, the skills had been checked. She was concerned about the number of members on the Board. There were only six members. The Board needed more members for full representation. The Chairperson asked the meeting to move forward with the Chair of the Board due to time constraints on the meeting. Mr Chauke said that a Board that appeared before Parliament had to be acting within the law for issues of accountability. The process or legislation has not been talked about. The DDG of the Department had not referred to any piece of legislation that affirmed or gave the minster power. “The Minister can” was not a reference to the law. She had to know the law in her position. He said that she had failed to talk about the processes and how boards were regulated and asked whether she was aware of the implications of that. The Members of Parliament needed to satisfy themselves before the presentation could proceed. They needed the proper accounting authority, which was a legitimate board. He refused to sit and listen to a presentation on something that was not legal. The important task was to get clarity and DWS had to be able to talk to the law as that was Parliament in a nutshell. DWS was only telling Parliament what the Minister could do. The establishment of the board was what was under discussion. Saying DWS was satisfied with it, not the point. The Chairperson raised the issue again about the problem of assumption. The Acting DG should not assume that everyone was on the same path and that everyone knew what was happening or what had happened. The Chairperson acknowledged Mr Chauke’s point and said that one could not make assumptions. The expectations of any board were that the people had the necessary requirements and that the board had been established in accordance with the prescripts of the legislation. It was a simple and straightforward issue that did not warrant any assumption. He asked Sedibeng Board to proceed with the issues and that the Committee would respond accordingly. Mr Chauke said he agreed with the Chairperson, but the Department had to respond in writing. Mr Matshediso Dikoko, Board Chair, Sedibeng Water Board, informed the Committee that the predecessors of the current board, had been established in 2010. The current Board had first been appointed March 2013. The term of the Board had come to an end on 31 March 2017. One member passed on in 2016.The board had comprised of ten members initially. Of the remaining nine members, the Minister in terms of Section 35(2) of the Water and Services Act, had reappointed 60% of the Board and was advertising for the remaining 40%, as allowed. In terms of the stability of the Board, the current operations of Sedibeng Water were stable and the Board was operating within the laws. He was aware that Sedibeng was requested, for the sake of the new Minister, to go through the details. Sedibeng Water was established as an organ of the state in terms of water services. Its core function was to provide water. The Minister was the executive authority and the Board was subject to regulations. The Annual Report of 2016/17 provided objectives and snaps of progress. The Acting Chief Executive of Sedibeng would take the Committee through the rest of the presentation. Before starting, the Chairperson of the Board explained that the CE had been placed on special leave on 18 August 2017 based on an anonymous letter that had made various allegations. The Board had reflected on the allegations and based on the seriousness of it, had decided to take immediate action on the outcome of an investigation. He said, in essence, there were 12 serious allegations against the CE and the process of the investigation was sped up in order to check the truth. Most, if not all, of the issues were found to be true and real. The Board was taking the necessary disciplinary process. The CE had been placed on suspension and Sedibeng had found itself caught up in legal battles. The CE had raised the legitimacy of the Board. The case was currently in the High Court. The CE had resorted to legal battles to fight the existence of the Board. The Chairperson asked if that was the only person under suspension. Mr Dikoko replied that the outcome had identified a number of people. The Chairperson asked the question again regarding it being the only suspension. Mr Dikoko replied that the Company Secretary was also on suspension. Ms Mpinane Shasha, Acting Chief Executive, Sedibeng Water, said that the achievements of the 2016/17 financial year were presented in the PowerPoint and she wanted to highlight the recruitment and development of employees as an important achievement where the organisation had created 73 new permanent and contract jobs and 769 temporary jobs during the 2016/17 financial year. Sedibeng’s financial performance had seen increased revenue with an increase in debt. From key financial ratios the gross profit target was exceeded as a result of cheaper water purchases from the Sand Canal and in the Free State region. The net profit percentage exceeded its target by 6.9%. Its return on assets target was exceeded by 0.15%. Sedibeng had entered into payment agreements with defaulting municipalities and had commenced with a program to restrict non-payments. The process was slow. The Director-General of the DWS was assisting with interventions to recover debt. The R1.2 billion owed to the Department was due to unpaid services from municipalities. Expenditure outcomes highlighted electricity costs. Sedibeng had been audited by PWC until the Auditor-General had taken over the previous year. Sedibeng had received an unqualified audit opinion in 2015/16 but a qualified audit opinion in 2016/17. Findings were in relation to definitions and measurement. The entity was in discussion with the Auditor General in terms of correcting misunderstandings and mis-arrangements, in understatement of irregular expenditure and on issues relating to the debtors and creditors. The entity had an action plan that was reviewed every Monday to ensure things were moving forward. Four internal projects had been internally advertised and not advertised elsewhere. That became irregular expenditure. The entity was looking at going back to the drawing board with National Treasury. Expenditure problems originated in the late payments of supplier accounts. Expenditure amounting to R140 000 was investigated and also presented to the Accounting Authority. The remaining R562 200 was investigated after the year end and would be dealt with in the current financial year by 31 March 2018. Strategic objectives informed by 12 outcomes set out in the National Government Medium-Term Strategic Framework (2009-2014). Six MTSF outcomes were specifically relevant to the Minister of Water and Sanitation. Sedibeng had a lot of corporate social investments like with Letlotlo Naledi Public School in the Free State province. The school used sponsorship money from Sedibeng Water to establish a feeding scheme and a trust fund to assist the learners. A total of R3.3 billion was owed to Sedibeng Water by all municipalities. A total of R88 million was owed by the Namakwa region. They were meeting on the 13 March 2018 to discuss the water restrictions and payments. On a positive note, the entity had appreciated the intervention of the former Minister. It would like to have a session with Cogta, National Treasury, the DWS and the Portfolio Committee to address matters. The Chairperson asked for further comments from the Board. Mr Dikoko stated that he would await further questions. But regarding the R88 million owed to the Department, he said the Board was working with three provinces, and under normal circumstances, it did not have problems with the Northern Cape. The problem was with both the Free State and North West. The Acting Director- General had committed to offering assistance. Most projects it was dealing with were happy with the Board’s commitment. Sedibeng was a member of the South African Association of Water Activities and based on the challenges that Sedibeng was facing in line with certain areas, it had requested assistance with assessment in terms of operational challenges. In terms of the institutional realignment, it had been indicated that there should be three Water Boards in South Africa. Rand Water Board was to operate in Gauteng, Mpumalanga and Limpopo. Sedibeng was already in three provinces. The suggestion for the third water board was a coastal one. In terms of the realignment, the smaller water boards were looking at incorporating into Sedibeng. In 2015, the Portfolio Committee had asked about the issue of reduction of chemicals. Sedibeng was happy to say that it was about to start the process of capacitating and reducing chemicals by working with a team of people looking into it. The assessment by Rand Water was that too many managers were reporting to the CE. A plan would be drawn up to incorporate the recommendation. The Chairperson asked for any further comments. He thanked the Board for the long, elaborate and substantial submission. He was keen on hearing about the responsibilities of the Acting CE in her original position. He asked about the policy on restraint of trade, especially for Chief Executives. That policy was a matter that related to all water boards and entities. What was the standing of the South Africa Association of Water Utilities? He noted that Sedibeng was quite ambitious. Mr Chauke said that Parliament had received information about the role of the water boards exchanging experiences. In respect of the Water and Services Act 35(2), it did not deal with the re-establishment of the board. At no point did the Act stipulate that the Minister should re-appoint 60%. He did not see where the 60% of reappointment came from as the Act only talked about the establishment, not the reestablishment, of a board. The status of the board was not clarified, and he wanted to speak on the issue. The legality of the Board that was before Parliament needed to be discussed. The DG would have to come forward on this matter. Perhaps the Minister should check. He wanted the legality clarified as only a proper authority could speak to Parliament. In respect of operationalizing the Water Board in terms of Section 75(1), the Minister could make regulations, but they had to be submitted to Parliament. Parliament needed to deal with that and, until that was clarified, Sedibeng could go into questions and issues with regards to the report but it could not talk with authority. Mr Mnguni said that Parliament was a constitutional structure, and so was the Board. Parliament could not deal with a Board that was not properly constituted. He repeated what Mr Chauke had said regarding the 60% in the Act and confirmed that the Act did not state that anywhere. The Minister might establish the board or suspend or dissolve it. The board could hire employees or the CE and give him or her functions or responsibilities. The Act did not talk about 60%. It would be naïve of Parliament to disregard the matter. If the Board had something to convince Parliament, it should inform the Members. Mr T Makondo (ANC) agreed with the two previous speakers in relation to the problems raised. He said he had a problem with the way in which the report was presented. The Committee wanted the actual water calculated and if it had not yet been calculated, it should be done. The other issue was with regards to over-expenditure by the Board. He wanted to understand what was meant when the Board said its expenditure was “in line” with the budget but it had over-spent by over 2%. What did it mean when it said it was in line with the budget? He asked for total figures in two areas, the irregular expenditure and fruitless and wasteful expenditure, and how those figures came about. One Member asked about the state of institutional production. He asked about the institutional initiatives that would continue to be institutionalised. In terms of the projects, many of them were outstanding. He asked for an estimate on services. Many of the areas, especially in the North West, did not have a drop of water. Those conditions were beyond inhumane. He acknowledged the issues of municipalities and those entities that were to blame, but he wanted to know if the Board had some kind of plan to go into municipalities and see where the incapacity problems lay. More water was being lost every day. Municipalities could have sold water, but they kept on losing water. If Parliament was to look at service delivery, it presumed that the Board had some kind of plan in terms of the municipalities and to deal with the incapacity problem of a lack of technical expertise. The Chairperson said that the meeting had run out of time and would need to reschedule. The Committee had not exhausted or dealt with all of the relevant issues or questions. The Committee would have to reschedule. He trusted that the Members, board members and others would be back for further questions. He acknowledged Mr Basson. Mr Basson asked what the Board’s involvement was with the sewer plants. He still had issues in the North West areas where the blame game came to the fore. Sedibeng said it was not the entity and then laid the blame elsewhere. The matter had to be sorted out. It was not assisting service delivery in the region. The Board was requested to come back to Parliament with clear indications so that the Committee could take the matter forward to councils in the areas. Parliament wanted to know who the responsible authority was when talking about water or sewers. It wanted to know who played what role. It needed to ensure that there was service delivery to the community on the ground. The Chairperson thanked Members for the questions to the Board. He asked Members for five minutes to relook at the program and find agreement on moving forward. He thanked the Minister and the teams from the water boards.